Step 1: Make a List. Before contacting the landlord, make a list of the repair problems that need to be fixed. Step 2: Contact the Landlord and Start a Paper Trail. Be sure to tell the landlord as soon as there is a problem. Some repair issues will get worse if not fixed right away. Give the landlord the list of the needed repairs and a reasonable time limit to do the work. (This should be based on how urgent the issue is to you, and how long it might take to repair.) If you speak in person or on the phone, be sure to follow up right away with a letter or e-mail saying what you talked about and keep copies of everything. Landlords often take things more seriously when they're put in writing, and might make the repairs faster. It is illegal for a landlord to Retaliate against a tenant for asserting their rights (including when requesting repairs). In order to protect yourself, you need proof of the request. If the problem gets worse because the landlord won't fix it, you shouldn't be charged for the extra damage. Just like retaliation, to protect yourself you need to have proof of when you reported the repair and how bad it was at the beginning. Step 4: Get Serious. If your landlord does not contact you or make repairs quickly enough, write a letter or e-mail with a new deadline, and tell them you will take further action (see below) if they don't meet it. Be sure to keep a copy for yourself! NOTE: Don't Ignore Emergencies! For some urgent problems, such as no heat or a broken lock on the main door, you might choose to contact building inspection immediately, and not go through the steps of writing letters if the landlord is not responding to initial phone calls. If you smell gas, leave the house immediately and then call your utility company! Step 5: Call the Building Inspector. If the landlord still won't make the necessary repairs, call your local Building Inspector. Building Inspection can order the landlord to fix certain problems, such as lack of heat or hot water, a pest infestation, water damage, mold, but not cosmetic things such as faded paint or stained carpeting. The Building Inspector will order the landlord to make the repairs by a deadline and will come back to see that the repairs are complete. See our list of Local Building Inspectors (below) in order to contact your building inspector. If you live in an area that has no building inspector and if there are major safety hazards in your apartment, such as faulty wiring or a pest infestation, you can try calling a fire department or public health inspector or the Department of Safety and Professional Services. Sometimes they are able to visit a home that is in need of repairs and sometimes they are able to persuade the landlord to take more significant action. NOTE: For the reasons above, abating your own rent puts you at risk for eviction for nonpayment of rent, especially if there is another recommended method. If you live in Kenosha, Milwaukee, or Wausau, click here for your local Rent Abatement procedures. Request the Repairs Several Times in Writing Before Abating Rent. Give your landlord a reasonable amount of time to make the repairs. Let them know you may abate your rent under Wis. Stat. 704.07 if they do not respond. Contact Your Local Building Inspector or the Department of Safety and Professional Services. Their report will provide a very important piece of evidence. Deduct a Portion of Your Rent that is Consistent with the Severity of the Repair Problem. 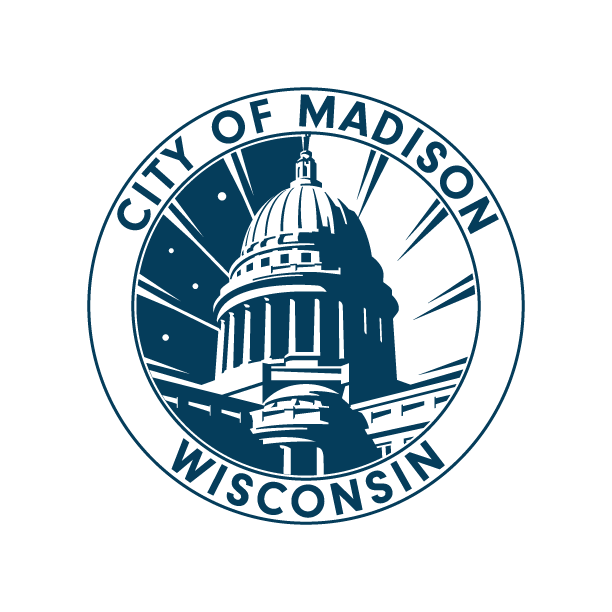 To decide how much, you could consult the City of Madison rent abatement percentages as a guide and offer the lower end of the range to show good faith. These are available here (rent abatement is 32.04) or from the Tenant Resource Center. Keep Paying the Rest of Your Rent On Time! Include a note to your landlord with your partial rental payment explaining why you are abating rent. Request the Repairs Several Times in Writing Before Withholding Rent. Give your landlord a reasonable amount of time to make the repairs and give clear deadlines. Put Withheld Rent into an Escrow Account, or Savings Account. Make the deposits on the day your rent is due. Do not spend it! You may need to prove you had the money. Additionally, you may need to prove to a judge that you were withholding rent for the specific purpose of enforcing your rights, and that the money is available if the repairs are completed. Include a Note to Your Landlord with Your Partial Rent Payment and Explain Why You Are Withholding Rent. Make sure to pay this on time and mention that you have the money in an escrow account and that you will pay in full when your landlord has made the necessary repairs. Be sure to keep a copy for yourself! Release the Withheld Rent After Your Landlord Makes the Repairs. If it is not repaired (or the repair is so extreme that it will impose "undue hardship" on the tenant) the tenant may constructively evict. Fires and floods are good examples of conditions that may cause someone to constructively evict. Wis. Stat. 704.07(4) This happens in only the most extreme repair situations, and involves risk on the part of the tenant. If a tenant can successfully claim constructive eviction, they are no longer responsible under the rental agreement for unpaid rent after they move out and can get back any prepaid rent. If a tenant tries to claim constructive eviction but is not successful, the tenant may be liable for rent to the end of the rental agreement plus any legal fees but the landlord will have to Mitigate their damages. To improve your chances of successfully claiming constructive eviction, carefully document the repair problems, your requests to the landlord, and the overall condition of the rental unit. Send your landlord notice in writing that you are leaving because the rental unit has become uninhabitable. Keep track of all the expenses you must pay because you had to leave (motels, eating out, etc.). Even if a court eventually decides that you were not constructively evicted by the repair issue, the landlord still has a duty to try to find a new tenant for your old rental unit (just like if you had Broken Your Lease). Under state statute, a tenant can not go to court and ask for permission to constructively evict, instead it is used as a defense if the tenant moves and the landlord sues the tenant for unpaid rent. This is why it is extremely important to document all the actions you take if you are going to constructively evict yourself from the apartment. NOTE: New laws make it clear that landlords can give this notice in an e-mail or text message. Wis. Stat. 704.10(4), 2017 Wis. Act 317, Sec. 42, Eff. 4/18/18. Keep the apartment in a safe, sanitary condition. Keep the thermostat set at a reasonable temperature to prevent freezing of pipes and other equipment. NOTE: Whenever repairs are needed because of the tenant's action or inaction, the landlord can charge a "reasonable hourly rate" for their time, materials ,and time spent purchasing or providing materials, supervising their staff or agents, and hiring a third-party contractor. Wis. Stat. 704.07(3)(a), 2017 Wis. Act 317, Secs. 37 & 38, Eff. 4/18/18. 2013 Wis. Act 76 includes language about pest control. This does not mean the tenant automatically has to pay for pest control (like bedbugs) but it does say that have to pay if the pests were caused by "actions or inactions" of the tenant or their guests. The landlord still has to repair the problem, regardless of whoever ends up paying for it. Wis. Stat. 704.07(3)(a), 2013 Wis. Act 76, Sec. 12, Eff. 3/1/14. There are several things tenants can do before signing a lease to minimize the chances of future repair problems. See our page Preparing to Rent for more information on how tenants can protect themselves before signing a lease. Before entering into a rental agreement or accepting earnest money, the landlord must tell the tenant about documented, uncorrected building code violations that they have actual knowledge of and which are a significant threat to the prospective tenant's health or safety. ATCP 134.04(2)(a), Wis. Stat. 66.0104(2)(d)1, 2013 Wis. Act 76, Sec. 2, Eff. 3/31/12 and 11/1/15. NOTE: 2011 Wis. Act 143 only changed the language about required disclosures in Wis. Stats. 704.07. 2011 Wis. Act 143, Sec. 16 & 17 Eff. 3/31/12 It was unclear at the time how this would affect the Consumer Protection regulations. Now, these same requirements are also in the Consumer Protection Code. This brings ATCP 134 in line with the State Statutes. ATCP 134.04(2)(a), CR 14-038, Sec. 3, Eff. 11/1/15. Call Consumer Protection at (608) 224-4953 or (800) 422-7128 to check if there have been any complaints filed against your prospective landlord. Inspect the rental unit your are considering, taking notice of repairs and improvements that need to be made. Negotiate with your prospective landlord about what repairs or improvements will be made, and write those into the lease. If your lease has a provision that allows the landlord to not provide the premises in a habitable condition or maintain the property, this is not enforceable, and you could automatically break your lease if you needed to. These provisions make your lease "void and unenforceable." Wis. Stat. 704.44(8), 2011 Wis. Act 143, Sec. 35 Eff. 3/31/12. ATCP 134.08(8), CR 14-038, Sec. 11, Eff. 11/1/15. For more information and other reasons a lease may become void and unenforceable, see Ending Your Lease. Contact the Tenant Resource Center to ask questions about items in your lease. Fill out your check-in form. Filling in your check-in form is the best way to prove the condition of the apartment if the landlord tries to make deductions from your security deposit later on for damages that were already there. The new law says you shall be given 7 days from when you move in to complete the check-in sheet and return it to the landlord. Under the new laws, the landlord can send all documents and forms related to the security deposit in an e-mail or text message. Wis. Stat. 704.10(2), 2017 Wis. Act 317, Sec. 42, Eff. 4/18/18. It is unclear if there is a deadline for the tenant to fill out the check-in sheet, but the landlord should give them at least 7 days. Wis. Stat. 704.08 Failure to meet the landlord's deadline does not in any way negate the information on the form. Eff. 3/31/12. ATCP 134 says that tenants have at least 7 days from when they move into an apartment to give the completed check-in form to the landlord. How this is impacted by 2011 Wis. Act 143 is unclear. Eff. 3/31/12. NOTE: Previously, landlords were supposed to also fill out the check-in sheet. This was only required between 3/31/12 and 2/28/14. Wis. Stat. 704.08, 2011 Wis. Act 143, Sec. 18, Eff. 3/31/12. 2013 Wisconsin Act 76 removed the language about the landlord filling out the check-in sheet. 2013 Wis. Act 76, Sec. 13, Eff. 3/1/14. No matter what, tenants should keep a copy of the completed check-in form or forms for themselves. If you didn't get a check-in form, make your own or use our Sample Check-In Form and send a copy to the landlord. Completing the form will document the state of the rental unit when you moved in, and what damages you should not be charged for. Request a list of previous tenant's deductions. The landlord is required to let you know in writing that you can get a list of the deductions from the previous tenant's security deposit. ATCP 134.06(1)(a)2 If requested, the landlord must provide this within 30 days, or within 7 days after they return the previous tenant's security deposit, whichever is later. ATCP 134.06(1)(b) This list may be helpful in recognizing other repairs that need to be done. Request repairs. A check-in form is not a request for repairs; it simply documents the condition of the apartment. If you want the landlord to fix certain problems, follow the suggestions in the first section for getting repairs done. For more information, see our Sample Repair Request Form. If your municipality's building inspector is not listed here, check your phone book or call our toll-free line if outside of Dane County at 877-238-RENT. Tenant Resource Center has the building inspector phone numbers for most cities and towns in Wisconsin. NOTE: The state building inspection unit at (608) 266-3151 may be able to help tenants in areas not served by municipal inspectors. They have limited enforcement ability and may charge for inspections. If you live in an area without a building inspector, you can also try calling a health or fire inspector.